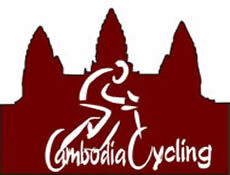 Cambodia Cycling provides professional bird watching tour accompanied by experienced bird watching guide with bird list. Prek Toal is one of the biggest bird sanctuary: Milky Stork (10 pairs), Painted Stork (100 pairs), Asian Open Bill (1500 pairs), Lesser Adjutant (40 pairs), Greater Adjutant (30 pairs), Spot-billed Pelicans (700 pairs), Black-head Ibis (200 pairs), Glossy Ibis (50 pairs), Grey-head Fish-Eagle (15 pairs), Masked Fin-foot (10 pairs). A full day boat trip is recommended. Ang Trapeng Thmor is the best place for watching Sarus Crane. Tmart Boey is the north plain village for Ibis. Surrounding the Tonle Sap Great Lake are natural grasslands, which flood annually with the rise and fall of the Mekong river. This unique habitat is highly threatened by conversion to agriculture. It also supports globally significant breeding populations of the endangered Bengal Florican – the only such site in South-east Asia. Other birds present include several large waterbird species, wintering Manchurian Reed Warblers and Greater Spotted Eagles, and Oriental Plovers, which are reliable passage migrants in March. 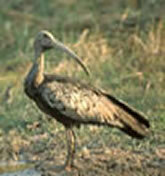 Kampong Thom Grasslands: Bengal Florican – the only such site in South-east Asia. Other birds present include several large waterbird species, wintering Manchurian Reed Warblers and Greater Spotted Eagles, and Oriental Plovers, which are reliable passage migrants in March. Tmartboey Ibis: Giant Ibis Pseudibis gigantea, White-shouldered Ibis Pseudibis davisoni, Greater Adjutant Leptoptilos dubius, Lesser Adjutant Leptoptilos javanicus, Sarus Crane Grus antigone, Green Peafowl Pavo muticus, Black-necked Stork Ephippiorhynchus asiaticus, Woolly-necked Stork Ciconia episcopus, Greater Spotted Eagle Aquila clanga, Grey-headed Fish Eagle Icthyophaga ichthyaetus, White-rumped Falcon Polihierax insignis, Pale-capped Pigeon Columba punicea, Alexandrine Parakeet Psittacula eupatria, Rufous-winged Buzzard Butastur liventer. Tom Gullick, World No.1 bird watcher went to Cambodia with us from 23rd to 26th August 2007 to search for the birds. He visited Prek Toal Bird Sanctuary and the North Plain for Ibis. He had added the White-shouldered Ibis and White-rumped Falcon to his list. 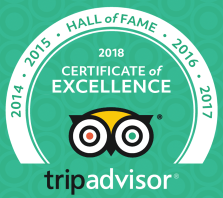 Finally, Tom has passed over 8,700 species on his list. Today, there are about 9,500 species of birds in total. A fantastic trip - with the temples a Angkor a high point (one of many) for me! Our guide there, Sophoan Rath, was especially good - we highly recommend him for future tours. He was able to show us a large temple some miles out in the country, which was much appreciated and a bit of an extra effort for him. We a still amazed that everything, and I do mean everything, worked so well - right down to the flights home.